The Pro Race buoyancy aid has been designed as the “ultimate” high performance jacket. Its compact manufacturing is ideally suited for dinghy sailors, sport canoeists and windsurfers. 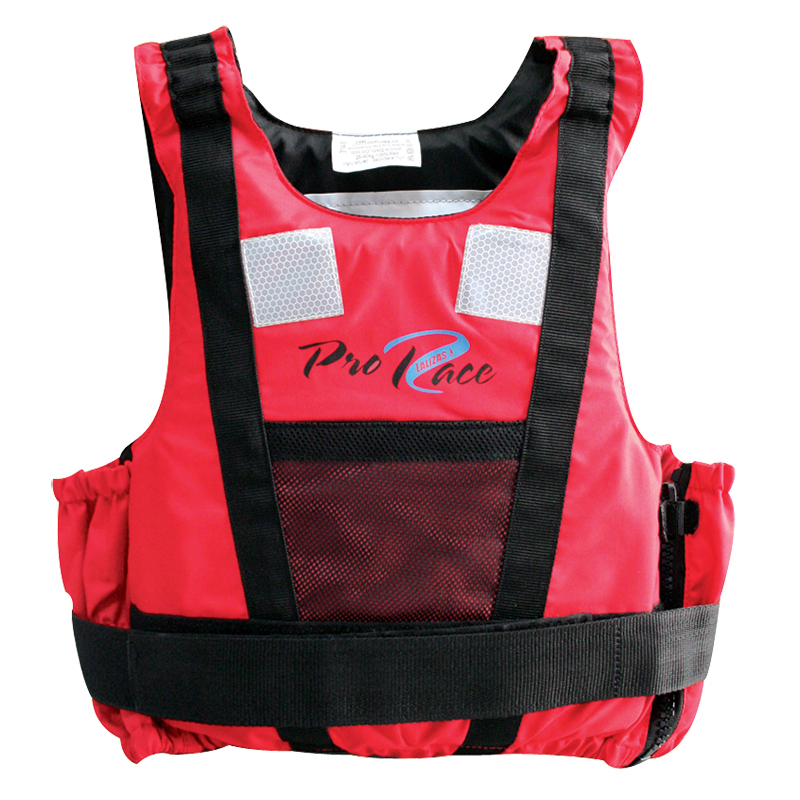 The Pro Race buoyancy aid features high density soft PVC foam buoyancy, double sided Velcro waist straps, side entry zip, a mesh front pocket and SOLAS retro reflective tapes. It is approved to the latest European standards for 50N buoyancy aids, ISO 12402-5. All of its raw materials are certified per ISO 12402-7 & ISO 12402-8, for higher strength, quality and durability. Our unique double Velcro waist strap makes the Pro Race series fully adjustable to a variety of chest size users and the elastic band shoulders make it to fit younger users. It is available in 3 sizes in red.